It was quite a spring. There were a ton of highlights in West Linn sports, some missed opportunities and a bundle of lifelong memories. So here, in brief, is a look back at some of the many great moments your Lions created over the past three months. • WEST LINN BASEBALL: A year after winning the Three Rivers League title and reaching the Class 6A state championship game, the Lions were faced with an even greater challenge — how to do it all again. While West Linn didn't quite reach the heights of 2017, the Lions came pretty darned close, winning a piece of the TRL championship, then pushing eventual state champion Westview to the limit before falling short in the state quarterfinals. • WEST LINN SOFTBALL: While the Lions' season didn't last as long as they would have liked — they were ousted in the first round of the Class 6A state playoffs — they definitely made their presence felt. West Linn played to third place in the TRL race, hit the heck out of the ball, and saw seniors Brooke McKelvey and Kaitlyn Lampson win berths on the all-league first team, with McKelvey named Player of the Year and coach Monica Sorenson tabbed as Coach of the Year. • WEST LINN TRACK: West Linn may not have had the numbers to make a big splash at the Three Rivers League district meet, but saw some of their best athletes come through big-time at the Class 6A state meet. For the Lion boys team, senior Justin Gould soared to victory in the state pole vault with a mark of 14 feet, 6 inches, while senior Justin Babcock grabbed third in the discus at 160-10. In the girls state meet, freshman Makayla Long made her 6A debut a keeper, taking second in the discus at 144-3 and fifth in the shotput with a 39-11.75. 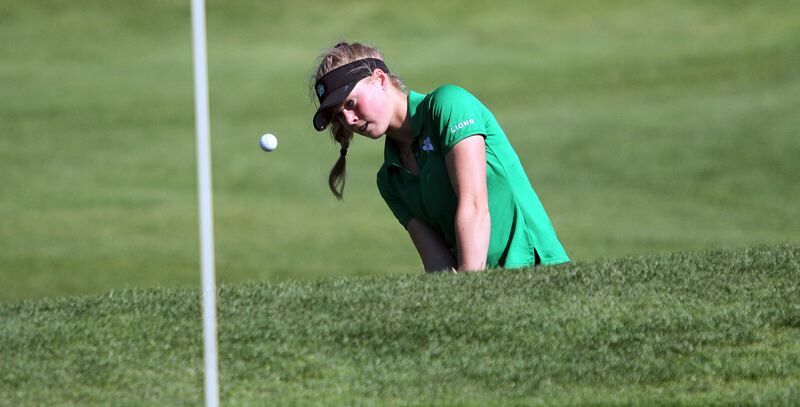 • WEST LINN GIRLS GOLF: There was almost nothing the West Linn girls golf team didn't accomplish in 2018. The Lions won every week of the 2018 Three Rivers League regular season, won both days of the TRL district tournament, then played their way to third place in the Class 6A state tournament, with sophomore Olivia Venderby placing 10th, senior Avery Gill finishing 20th and freshman Lauren Grothe 21st. 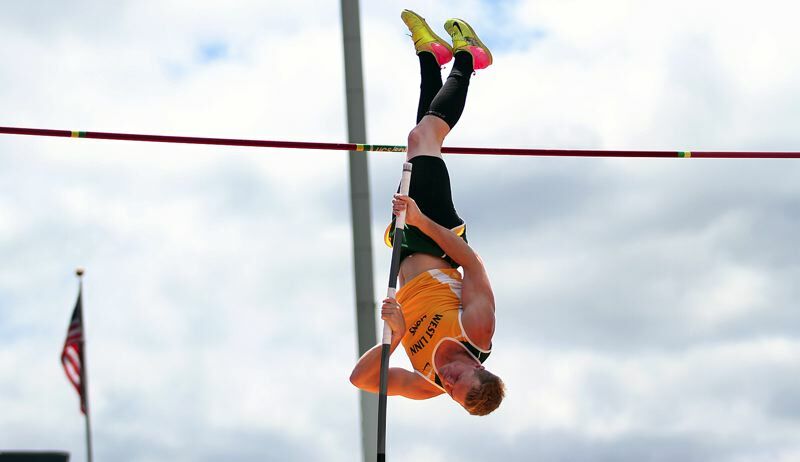 • WEST LINN BOYS TRACK: While the Lion boys team had more modest levels of success in 2018, they did send two of their best on to the Class 6A state tournament. There, sophomore Jackson Forsyth played his way to 48th place, while junior Sebastian Hardin tied for 55th. • WEST LINN BOYS TENNIS: The Lions boys team was, well, just flat-out good in the Three Rivers League this spring. West Linn went unbeaten in the TRL regular season for a second straight year, finished second in the district tournament, then came back to take 11th at state. Their efforts at state were led by sophomore singles player Logan Thompson and the doubles team of senior Justin Lawrence and junior Grant Grainger. • WEST LINN GIRLS TENNIS: After a solid regular season, the West Linn girls team brought its best again at the Three Rivers League district tournament, finishing third overall behind seniors Theresa Li and Gretel Rajamoney, and junior Hannah Vedder in singles, and the doubles teams of Montana Walsh and Sydney Sovde, Alyx Burkhartzmeyer and Vera Youga, and Mikayla Vincent and Ella Gulbrandson. • WEST LINN BOYS LACROSSE: The West Linn boys lacrosse team, long a leader in Three Rivers League and OHSLA state playoff action, were right there with the state's best again in 2018. The Lions battled to second place in the tough-as-nails TRL, took the fourth seed into the playoffs, then reached the OHSLA quarterfinals before falling to Lakeridge 9-8 in overtime. • WEST LINN GIRLS LACROSSE: The Lion girls were strong in 2018, too, battling to second place in the Three Rivers League regular season with a 10-2 mark and winning the fourth seed to the playoffs. But West Linn suffered a rare early setback there, falling to Hood River Valley 11-10 in overtime in the state quarterfinals.